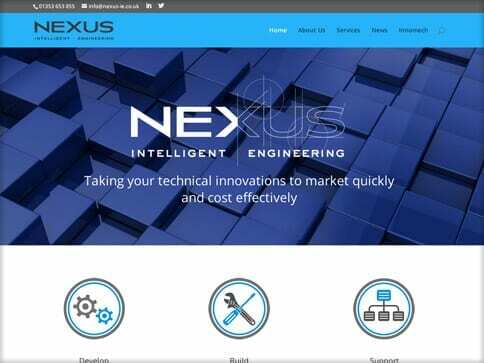 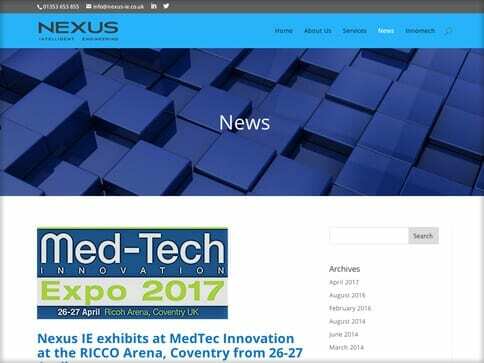 Cambridgeshire engineering company Nexus IE wanted Nettl of Cambridge West to supply a new site with a very simple user interface. 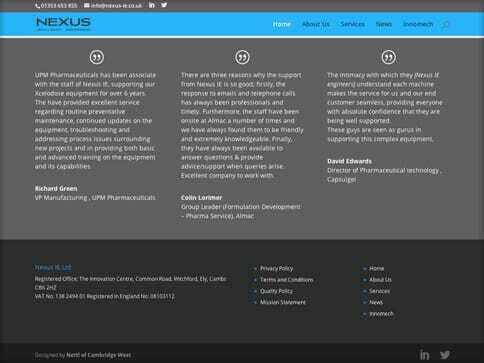 The site features animated headers, bespoke contact forms, live Twitter feeds and anchor links for navigation. 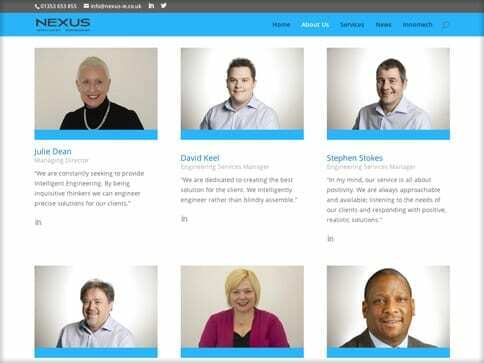 Retro style rollover links on the About Us page along with having a safe corporate styling were brief specific.